What Is a Healthy Eating Plan? : Free Healthcare and Fitness Ideas What Is a Healthy Eating Plan? Healthy Eating is an important aspect of life for young or old people maintain a healthy weight through a healthy eating plan. Its good to know that we don't just eat but only for good health and to look good which is best achieved through a healthy eating plan. The best healthy eating plan for anybody is to eat foods from all the available different classes of food which includes carbohydrates, protein, vitamins and minerals, fat and oil, water and many more. The sad things for people not following these healthy eating plan everyday is that lack of understanding of what healthy food is may causes illness, diseases, and weight problems, obesity, heart disease and other health related issues. 1. Fruit 2 to 3 serves per day : Fruits help prevent cellular damage and it also repairs worn out tissues in the body. If you eat plenty of foods rich in vitamins such as almonds, berries, citrus, carrots, spinach, tomatoes, oranges, tangerine, grapes and bell peppers, then you will stay healthy. 2. Vegetables 5 to 7 serves: Just like fruits, Vegetables also helps to prevent diseases and it also repairs worn out tissues in the body. You need to eat vegetables and you will be sure of the safest and best health. It aids digestion, it prevents constipation and improves the skin cells. 3. Protein 3 to 6 serves per day: Proteins is an important classes of food that repairs the body tissues, cell tissues and which can help prevent cardiovascular disease. Serve with skim milk and you'll get three super nutrients for breakfast. 4. Whole grains 2-3 serves: Whole grain is any food made of rice, wheat , oats, etc. Its contains carbohydrate which is very essential for energy. 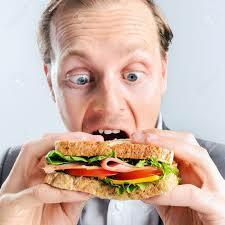 To maintain a good and healthy body, you need to eat a good amount of energy giving food such as whole grain. 5. Dairy 2-3 serves: A dairy product or milk product is food produced from the milk of mammals. Dairy products are usually high energy-yielding food products and supplies protein to the body. It makes your skin look fresh, repair worn out tissues and help the body cells grow. 6. Water: Water is the most essential thing in the world, 60% of the human body contains water and also needs water to function properly. A normal body requires at least 5 glass cup of water per day and water is the basis of digestion, good skin, health, cells and many more. If you take the eating plan described above, you are on the right path of healthy living but if what you eat comprises of sugar, fats, junks, salt etc, then you need to change to a healthy eating plan to stay healthy and fit. Thanks for reading.